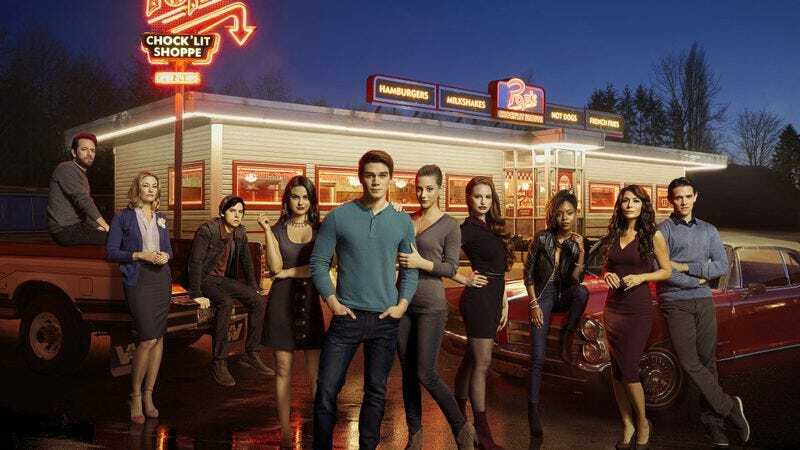 Riverdale has become a hit for the CW this fall as a dark, addictive soap opera, with a murder mystery set in a small town, à la Twin Peaks. But here the small town happens to be Riverdale, home to Archie Andrews and all his pals in the comic series that dates back decades. There’s a clear juxtaposition between the light and the dark versions of these Archie characters. Our friends at Looper took a closer look, breaking down every Riverdale character from Archie, Betty, and Veronica to second-tier characters like Kevin, Reggie, and Mr. Andrews. Archie, played by K.J. Apa, is significantly hotter than he is on the comics page, as is Cole Sprouse’s Jughead, lacking his character’s Pinocchio-like nose. Lili Reinhart’s Betty lacks her character’s trademark bangs, and her hair is a little less yellow, but that signature ponytail and her angelic facial features capture the character. Camila Mendes, who is of Brazilian descent, became more excited about portraying Veronica Lodge when she learned that the character was going to changed from WASP to Latina. Her Veronica is also pitch-perfect, from her carefully tailored wardrobe to her signature eyebrows and blue-black hair. But other characters, like some of the parents, say, show a more significant departure from their print counterparts. Luke Perry, as Archie’s dad, is a far cry from his bald, overweight namesake. Casey Cott’s Kevin also doesn’t bear much of a resemblance to his blond comics character, but is delightful nonetheless. And Reggie Mantle, played by Disney Channel actor Ross Butler, is now Eurasian, adding some diversity to the cast, as do Josie and her Pussycats. Reggie is much bigger player in the books, however, leaving Looper to ponder why he doesn’t get more screen time.